CAMBRIDGE, MA – GotoBus.com is proud to unveil new tour options and significant vacation package discounts to beautiful Beijing, China. With tour packages like the 8 Day Splendid China starting from $999, discovering Beijing and other popular Chinese cities including Shanghai and Suzhou are just a few clicks away for adventurous travelers. History, culture, mystery, and fun are in high supply in China. The rapid growth and modern development in Beijing particularly is an amazing juxtaposition to its breathtaking natural landscapes and historical architecture. Immaculate gardens dispersed throughout the city display the exquisite precision of the Chinese gardening arts and offer tranquil spaces perfect for relaxation and unique photo opportunities. With the booming growth of tourism throughout China, many popular attractions are available at a fraction of the previous cost. Guided Beijing tours of famous locales such as Tiananmen Square, the Great Wall of China, Summer Palace, and the Grand Canal are included in many of these vacation packages. Modern comforts abound as post-Olympic Beijing prides itself as being one of the world’s greatest travel destinations. Renowned hotels, restaurants, parks, museums, and landmarks are just some of the excitement waiting to be explored in Beijing alone. All information provided regarding tours was accurate at the time of publishing. Complete itineraries, ticketing information, and more travel deals can be found online at GotoBus.com. Best China Tour Deal – EVER! The folks here at GotoBus want to let you know about our best China deal ever released. We are offering a China Sampler 7-Day Tour for only $199. Yes, you read that correctly…only $199! The best part about this tour package is that you will be staying at the best of the best hotels in China (4/5 stars). In addition to luxurious hotel stays, you will receive meals, complimentary round trip airport transfers, all in-land domestic transportation, an English-speaking tour guide service, all admission tickets, and one bottle of spring water per day. This tour will give you an overview of some of the most popular cities in China including Shanghai, Suzhou, Wuxi, Nanjing, and Hangzhou. The China Sampler 7 Day Tour has departures on 7/4, 9/5, 10/17, and 11/28. If you have ever dreamed about visiting China now is your chance. Book your tickets right away because at this price these tickets won’t last long! More China Vacations Just Released! GotoBus.com is thrilled to tell you about our newest China Vacations starting from $999. These tours cover all the most popular attractions in China including Tian’anmen Square, The Great Wall of China, Summer Palace, Grand Canal, Lingering Garden, Forbidden City, Big Wild Goose Pagoda, Terra-Cotta Warriors, West Lake, Panmen Gate, Zhujiajiao, Nanjing Road and much more! Special meal inclusions like Peking Duck dinner and Shanghai Mongolian Barbecue buffet lunch. Now is the perfect time to schedule your China tour because you can also experience the 2010 World Expo in Shanghai. This event will be held from May 1 to Oct 31, 2010. By dedicating exhibitions, events, and forums on the Expo theme, “Better City, Better Life,” Shanghai hopes to build a powerful and lasting pilot example of sustainable and harmonious urban living. Need help planning your China getaway? Contact GotoBus for more details. 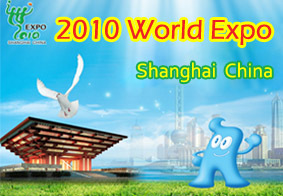 You can now purchase one day tours to the World Expo 2010 in Shanghai, China on GotoBus.com! These tours include complimentary hotel transfer service, standard or peak single day admission fee to the World Expo Park, and English/Chinese narration on the bus. The World Expo 2010 in Shanghai China will be held from May 1 to Oct 31, 2010. It is an occasion for China to bring the world home, and for the world to feel at home in China. By dedicating a 5.28-square-kilometer area at the core of the city to exhibitions, events and forums on the Expo theme, “Better City, Better Life,” Shanghai hopes to build a powerful and lasting pilot example of sustainable and harmonious urban living. Expo 2010 Shanghai China will center on innovation and interaction. Innovation is the soul, while cultural interaction is an important mission of the World Expositions. In the new era, Expo 2010 Shanghai China will contribute to human-centered development, scientific and technological innovation, cultural diversity and win-win cooperation for a better future, thus composing a melody with the key notes of highlighting innovation and interaction in the new century. 2009 will be an exciting year for both professional astronomers and amateur sky gazers to catch a glimpse of a total solar eclipse in China! This is a rare occurrence when the Moon passes between the Sun and the Earth so that the Sun is wholly obscured. People will travel from around the world to see this spectacular natural phenomenon. GotoBus is offering Solar Eclipse Tours departing from Shanghai and Solar Eclipse Tours departing from Beijing that provide a great opportunity to go sightseeing in post-Olympic China and observe a total solar eclipse. Cambridge, MA September 8, 2008 — GotoBus, the leading online ticketing company for inter-city bus lines and bus tours, has expanded tour service to China. With the existing leadership in their U.S. and Canadian tour service, the company is actively increasing their international offerings. GotoBus introduces travelers to popular destinations in the post-Olympic China such as Beijing, Xi’an, Shanghai, Guilin, Nanjing and Tibet. Whether it is exploring ancient cities or modern architecture that excites you, visitors can find a tour that is perfectly suited to their needs and within budget. These tours range in duration from 4 to 16 days and many cover more than one city allowing travelers to become fully immersed in Chinese culture. Beijing Tours: These tours include numerous sightseeing opportunities with stops at the Forbidden City, Tiananmen Square, the Temple of Heaven, the Great Wall of China, and the Ming Tombs. Xi’an Tours: Visit the famous Terracotta Warriors and Horses, as well as, the Ancient City Wall which was constructed in the early Ming Dynasty. Shanghai Tours: A tour through Shanghai reveals the beauty of Yu Garden, the Bund, and the Jade Buddha Temple. Shopping on Nanjing Lu, one of the world’s busiest commercial streets is not to be missed! Nanjing Tours: This location features the Dr. Sun Yat-sen Mausoleum, Nanjing Museum and much more. Tibet Tours: Travel through Lhasa to see the Tibet Museum and Potala Palace. Check out the Drepung and Jokhang monasteries to learn more about Buddhist history. In addition to these traditional tours, GotoBus has also released a unique Date your Love in China 8-Day Tour. Departing in November, January, and March, this cross-cultural dating tour explores some of China’s most awe-inspiring sites while meeting up to 150 single women throughout the excursion. This tour travels through Beijing, Shanghai and Hangzhou. It is the perfect combination of sightseeing, enjoying fine local cuisine and dating. All new China tours are fully narrated by a bilingual, experienced local guide. Additional details and ticketing information can be found at GotoBus China Tours. GotoBus.com covers diversified inter-city bus and bus tour service including the Chinatown Bus which connects major US cities. Expanding bus travel service to China cannot be more natural to the online ticketing company for bus travel. GotoBus is the leading online marketplace for bus tickets and tours. The GotoBus online booking system, similar to those used by major airlines, makes it easy for travelers to quickly compare schedules, prices, and pickup/drop-off locations for over 200 bus companies throughout the United States and Canada. GotoBus.com is the fastest growing gateway for bus travel on the Internet. In February 2007, The Washington Post featured GotoBus.com as one of the best travel websites and named it “Best of the Web” in the “Motorcoaches” category.